2018 South Australian Tourism Awards! 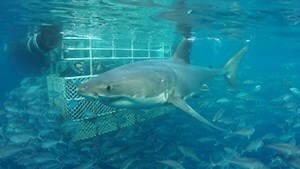 Calypso Star Charters is fully licensed by the Department of Environment and Water and is privileged to be the only one-day shark cage diving operator who is permitted to use natural fish berley to attract the Great White Sharks to our boat at the Neptune Islands Marine Park. Being permitted to berley provides you with the best possible chance of a shark sightings and productive interaction close to our vessel and cage resulting in a memorable encounter and wonderful photographic opportunities. Along with this license, we are proud to be Advanced Eco Certified and our Captains’ are Eco Certified Guides, Carbon Neutral and a Climate Action Leader. Receiving this certification provides us with the recognition that we conduct our operations in a way that are environmentally conscious and sustainable whilst also providing an educational component. A half-day tour to either the pristine Hopkins, Langton, Blyth or Grindal Islands meet the endangered Australian Sealions. 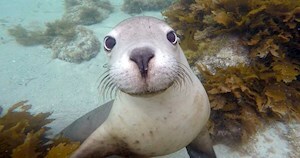 We are very privileged to have the opportunity to swim with these gorgeous animals in their natural environment. We invite you to jump on board for an exciting day of adventure, education and a whole lot of fun! This once-in-a-lifetime experience of viewing Great White Sharks in their natural habitat will leave you with memories that will last a lifetime! One of the most interactive wildlife tours you can do! 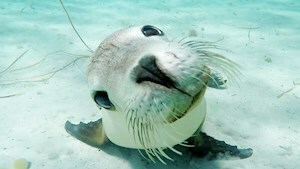 Come on board our half day tour and see why the Australian Sealions are nick named the ‘puppies of the sea’. Visit either the pristine Hopkins, Langton, Blyth or Grindal Islands. Want to book a tour or buy a Gift Voucher? 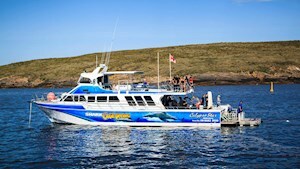 We have all our available charter dates listed on our calendar. Calypso takes pride in sustainable tourism. Proudly we are Advanced Eco Certified, a Climate Action Leader and a contributor to shark research. We were inducted into the South Australian Tourism Hall Of Fame in 2017 for Adventure Tours and awarded a Bronze and Silver Medal at the Australian Tourism Awards in 2017! 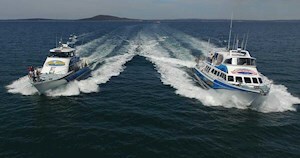 Meet our crew and our vessels! Why not purchase a package with us? 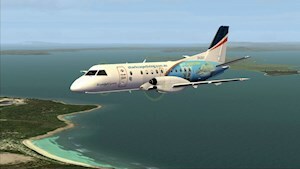 We can arrange your airfares from Adelaide, tours and accomodation. 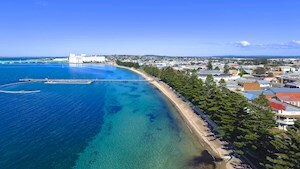 Located in Port Lincoln South Australia on the Eyre Peninsula. Read more about - How to get here, where to stay, things to do and dining options! Make sure you stay extra days to see how wonderful our region is! Want to keep updated about all things Calypso Star Charters? Check out our blog which we update with current information and special guests! Please read all of our Terms & Conditions. 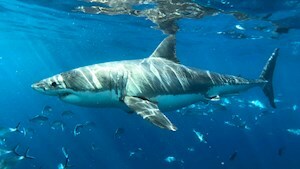 Listed here we have our No Shark Policy, Cancellation Policies plus more. It may be all the 'official stuff' but is great to know. All our souvenirs are available to purchase online! 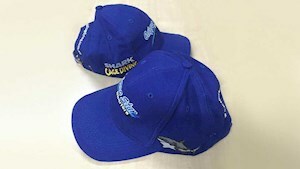 You do not need to have been on board to purchase some of our cool merchandise! 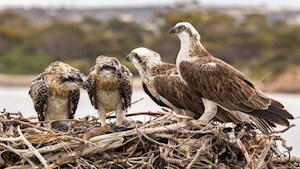 Be fascinated by a pair of Osprey who have set up nest on our barge in Proper Bay Port Lincoln. Watch them make their nest, feed and raise their chicks! We are the only operator in Australia that publicises current and historic sightings. Use this to help you decide on the best time to come. As we are dealing with a nomadic creature in its natural environment, we cannot suggest when would be the best time. We provide this information to be open and honest with all our guests to help you make an informed decision. NON ACTIVITY DAYS - Non Activity Days were imposed by the Department of Environment, Water and Natural Resources in 2013 as a recommendation by the CSIRO (Commonwealth Scientific and Industrial Research Organisation). 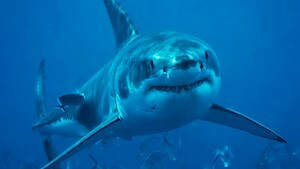 They are a strategy to minimise any potential impact on shark behaviour, site visitation pattern and changes to temporary residency period of sharks to Neptune Islands. 4 days per fortnight are designated as Non Activity Days and all one day operators adhere to the same schedule. Why book direct with Calypso Star Charters? 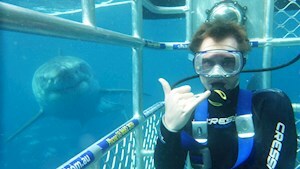 We are Shark Cage Diving & Swimming with the Sea lion experts we do not sell any other tours and have expert knowledge of the area, and the wildlife. You can ask us any question! Whilst we are happy for you to use your preferred travel arranger to book with us, but please if you do make sure you ask for us directly and check your paperwork to make sure you have been booked on with us to avoid any disappointment.